Finance Minister Mangala Samaraweera yesterday said that the Government will continue to defend Sri Lanka’s sovereignty by reaffirming its commitment to seek durable reconciliation and promote and protect human rights of all. 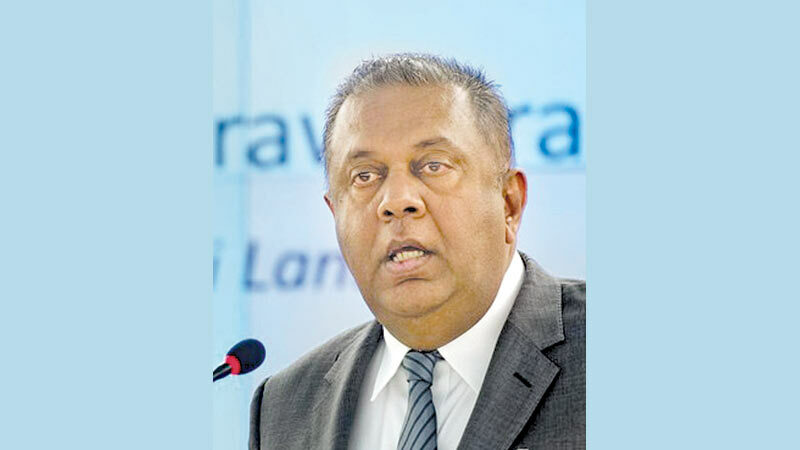 Minister Samaraweera made these comments in response to the statement made by former President Mahinda Rajapaksa on the UN Human Rights Council discussing the country’s progress on national reconciliation. He said the government will also affirm the honour of the institutions of the Army, Navy and the Air Force and the project their professionalism including the UN Peacekeeping missions and increase their opportunities for collaboration with the best militaries in the world, by investigating allegations and prosecuting any abuse that may have taken place in accordance with the due process of the law. Samaraweera said that the former President through his statement aimed at hoodwinking the masses, assumes a commanding and almost martial tone. “Packing it with misinformation to mislead the public, he seems to forget the small detail that he is no longer the President or even the Prime Minister of Sri Lanka – fake or otherwise. As the citizens of our country – Asia’s oldest democracy – remember very well, Mahinda Rajapaksa’s attempts to usurp the position of Prime Minister a few months ago failed miserably in the face of the determined resistance of our citizens and our independent institutions including our judiciary. My recommendation to Mahinda would be, in true friendship: let’s put aside the airs. It really is impossible to engage in constructive dialogue if you give instructions and orders on policy to a government that is trying very hard to fix the several troubles that you yourself, your close advisors and those you appointed to high positions during your time as President created, especially since the conclusion of the conflict in May 2009”, Samaraweera said . He said that nothing more and nothing less is what the government is committed to do for all the people of Sri Lanka. “No doubt our journey has been difficult, with ups and downs, achievements and disappointments, but those who caused the trouble in the first place, have very little authority to criticize us. Those who embraced and never investigated child abductors and war criminals like Karuna, can’t tell Sri Lanka what a War Hero is. Those who paralyzed the country on October 26, 2018 to send our economy into free fall cannot be allowed to continue their attempts to sabotage the progressive path of our nation,” he said. He said that the journey towards reconciliation will continue. “We will, in this journey, work with the international community. They will be our partners as they have always been. “They will also be our witness as well as supporters of this solemn undertaking, and they will tell our story so that others too in this world can learn from Sri Lanka’s example of reconciliation,” he said. He said that the people of Sri Lanka are tired of pessimists and compulsive liars and fear mongers. He added that the people know that their future lies not in fear but in truth and that the economic prosperity of the nation depends on achieving sustainable peace, non recurrence of conflict, strengthening the rule of law and democracy.